Air Rutter International, the long-established air carrier based at Long Beach Airport (LGB) in Long Beach, CA, has changed its name to JetFlite International. The aircraft management and charter operator has also expanded its services to the East Coast, with a new operating base at Republic Airport (FRG) in Farmingdale, New York. Just minutes east of New York City on Long Island, the new location will operate in conjunction with JetFlite International’s headquarters in Long Beach, making the global charter and aircraft management company increasingly accessible to its expanding clientele on both coasts. In addition to providing increased convenience for private jet charter clients, the new base in New York will offer conveniently-located management and maintenance services for private aircraft owners in the New York market. Devoted to providing an exceptional private aviation experience, JetFlite International offers its jet charter clients a refined level of services to destinations worldwide. With an impressive fleet of the finest and most sought-after private jets, including Gulfstreams, Challengers, and Citation X’s now based on both coasts, JetFlite International makes on-demand luxury travel simple. 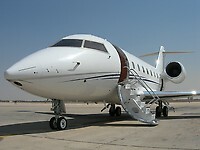 The company also manages aircraft at other locations around the globe and operates the Long Beach Air Center FBO at LGB. Upholding the highest levels of safety in the industry, JetFlite’s entire first-class fleet has been approved by both Wyvern Aviation Safety Intelligence and Aviation Research Group/US (ARG/US), the leading independent aviation safety audit firms. With operating bases in Long Beach, CA, and Farmingdale, NY, JetFlite International is a full service private aviation company that brings together extensive aviation expertise, first-class service and sophisticated hospitality. For nearly 20 years, JetFlite International has provided an unmatched level of services for private jet charters, aircraft management and aircraft sales and acquisitions.